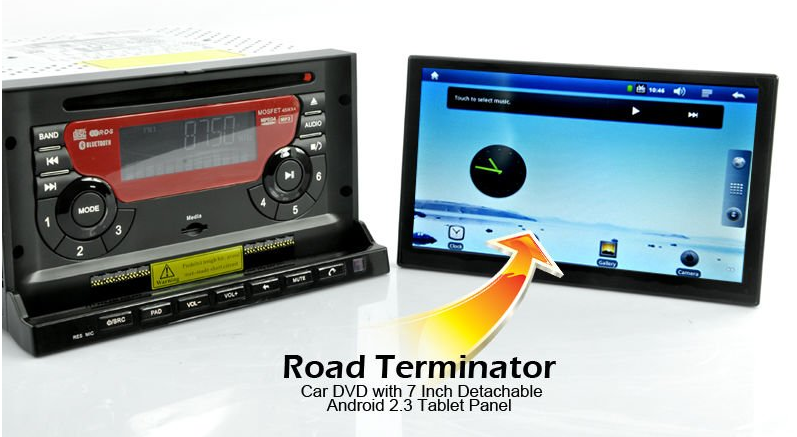 This fabulous thing is one of many on Alibaba - an in-car DVD player with a detachable Android tablet (running Android 2.3) - the 'Road Terminator'. I have no idea if this has Google Play, and hence has any chance of appearing in Google's activation numbers. Probably not, but you never know. The broader point, of course, is that Android's success spreads far beyond phones or even tablets. It is rapidly becoming the embedded system of choice in all manner of objects, replacing Windows CE and Linux (of which it is arguably a variant). This is not necessarily a problem for Google (and some of these might even generate AdSense traffic one day), but it points to the problems of thinking that raw Android device sales figures are a good measure of what is happening in the smartphone and tablet 'platform wars', or bear directly on how we should think about Apple.